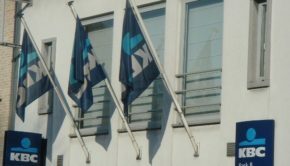 Eighteen financial institutions, managing more than 1.7 trillion euros, prohibit investments in nuclear weapons producers. These institutions are prepared for the legal implications of a ban on nuclear weapons to be negotiated at the UN in 2017. Another 36 institutions have some form of limitation on such investments. But far too many institutions are still investing in nuclear weapons producers, according to Don’t Bank on the Bomb, a report published today by Dutch peace organization PAX. “Governments have decided to negotiate a nuclear weapons ban treaty in 2017, and now is the time for banks, pension funds and insurance companies to get ready and end financial relations with companies involved in weapons of mass destruction,” says Susi Snyder, PAX programme manager for nuclear disarmament and co-author of the report. ? The financial institutions with comprehensive policies prohibiting investment in nuclear weapons producers are based in Australia, Denmark, Italy, the Netherlands, Norway, Sweden and the United Kingdom. 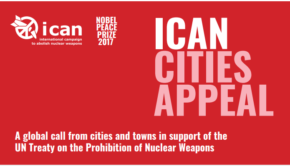 They make up the report´s Hall of Fame and show that investment in nuclear weapons is a choice, not a necessity. Institutions imposing limitations on investing in nuclear weapons producers are responding to the growing stigma against these weapons, designed to kill indiscriminately. 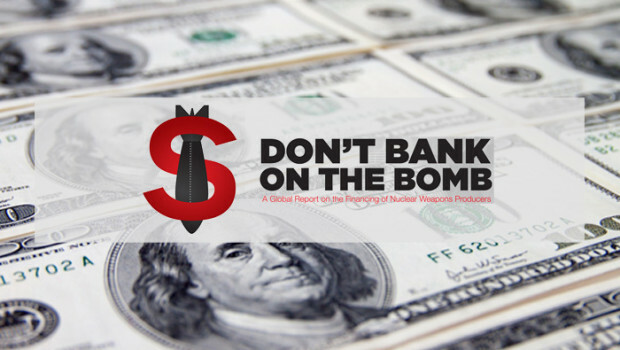 The report also identifies 390 banks, insurance companies and pension funds that still invest in nuclear weapon producing companies. Since 2013, these companies have made nearly half a trillion dollars available to companies involved in the production of nuclear weapons. Activists around the world call on financial institutions to stop investing in weapons of mass destruction and prepare for a ban. In October, the UN General Assembly First Committee agreed to start negotiations in March 2017 on a new treaty to comprehensively prohibit nuclear weapons. By already stigmatizing nuclear investments, these financial institutions are preparing for a prohibition.